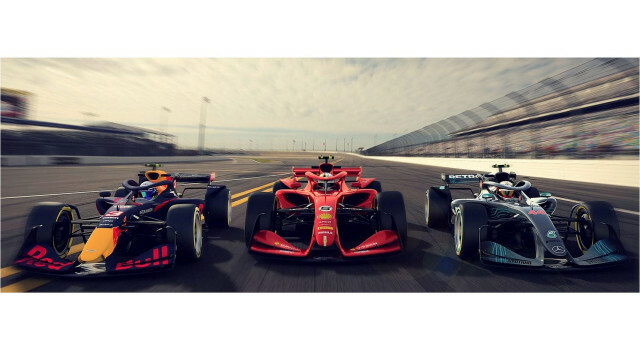 Formula One organizers noticed something about the current F1 car design: the cars don’t race very well together on the track. 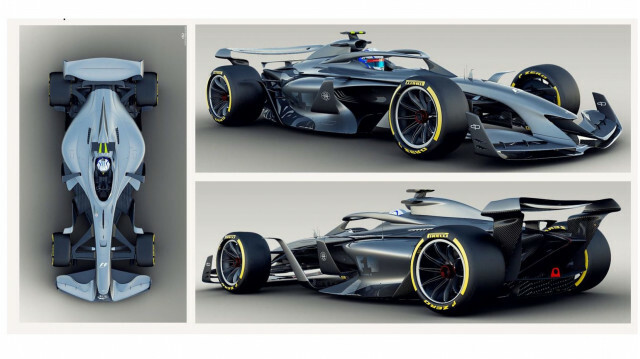 Therefore, the latest design proposals for the 2021 F1 racer focus on aerodynamics. “When we started looking at the 2021 car, the primary objective was to enable the cars to race well together. What we established early on in our research is the cars we have now are very bad in following each other,” F1 motorsport boss Ross Brawn said, according to Formula1.com. Concept 1 is meant to show how the new cockpit halo can be better integrated into the car’s overall design. Here, it’s elongated with the driver sitting further back. F1 said the concept is mostly about making a more “aesthetically pleasing” halo. Concept 2 is the most aggressive looking of the trio. Some of the current racer’s sharp angles have been ditched in favor of smoother lines and rounder panels. Notably, the concept also features 18-inch wheels instead of the current 13s. “We’re committed to 18-inch wheels for the future. They look better but there are a lot of technical reasons why we want them,” Brawn, said. Finally, Concept 3, the most recent design, attempts to pull style from both earlier concepts. We’d say designers have succeeded thus far with that mission. The concept molds some of the sleek looks from Concept 1 (with the stretched halo) and some of the more aggressive bits from Concept 2. 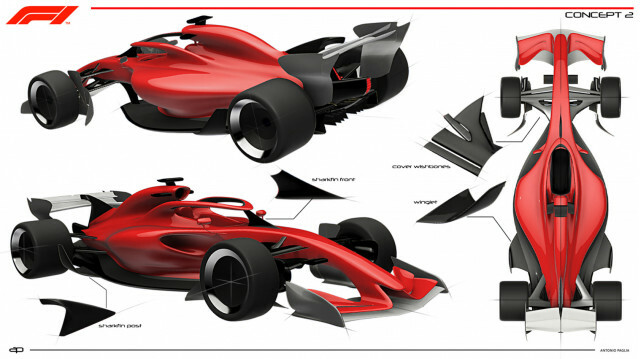 The third concept also incorporates devices to control the way the airflow comes off the wheels, which will begin to solve F1’s aero problems. “Once the (current) cars get within a few car lengths of each other, they lose 50 percent of their downforce. That’s a substantial amount of performance lost. So we set about understanding why that was and how we can improve it. I’m pleased to say we’re at about 80 percent,” Brawn said. 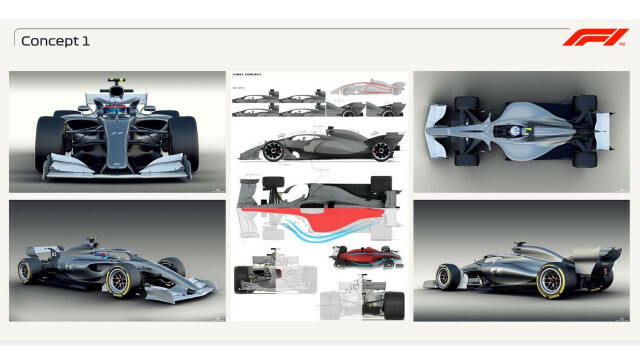 Not only does F1 want to improve aerodynamics for the next F1 cars, but there’s a real passion to design drool-worthy racers again. Brawn said the cars need to look so good that young fans will want posters of them on their walls. “We want a car that is inspiring. F1 is the pinnacle of motorsport and the car should look sensational,” Brawn said. ‹ Previous Do You Know Your Top 5 Photographs? Buy two video games, get one free at Target including pre-orders!